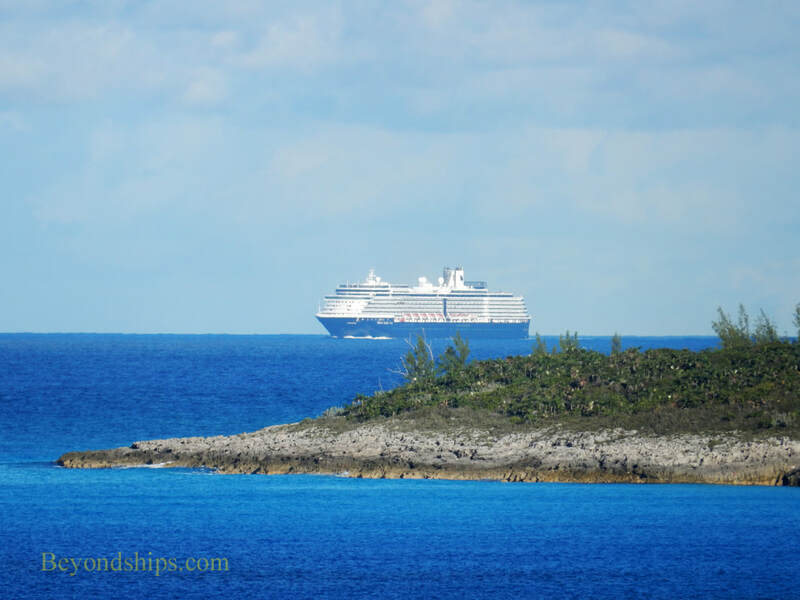 Zuiderdam approaching Holland America's private island in the Bahamas, Half Moon Cay. 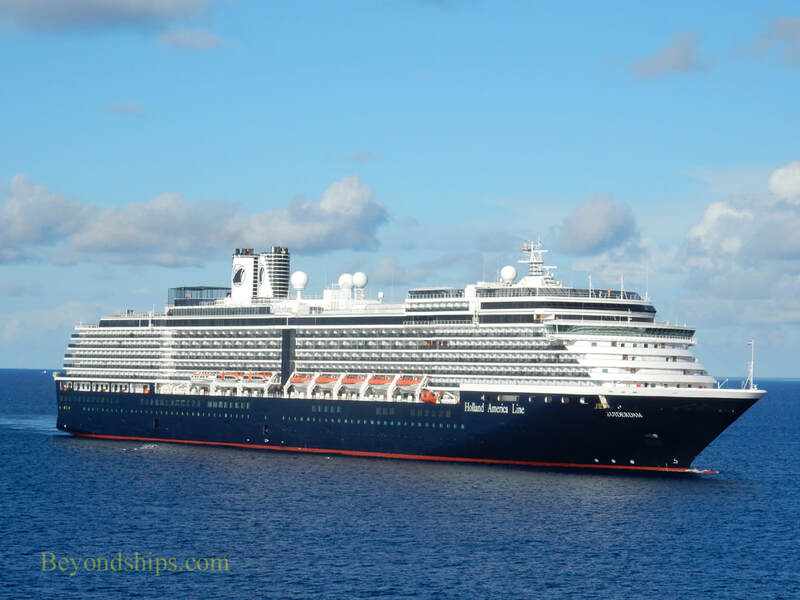 This is a tender port and so Zuiderdam anchors offshore. 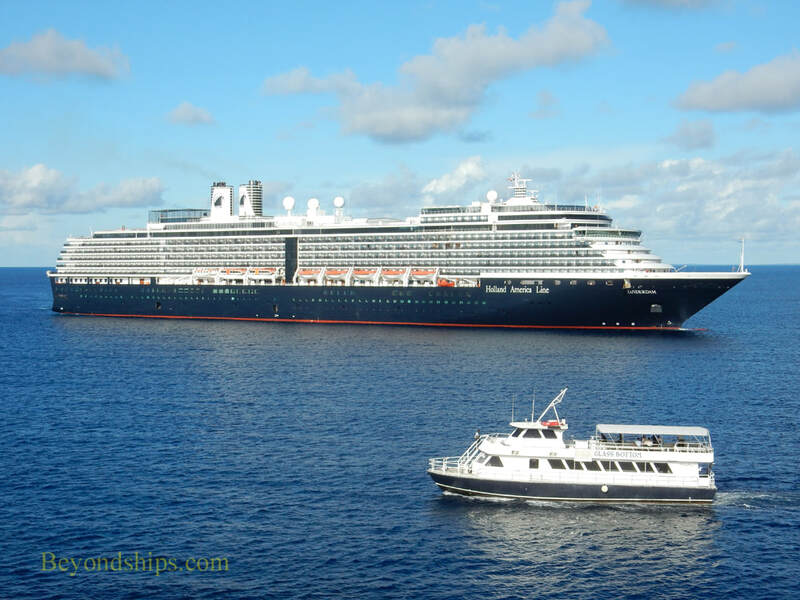 Tenders from the island approach to shuttle Zuiderdam's passengers ashore. 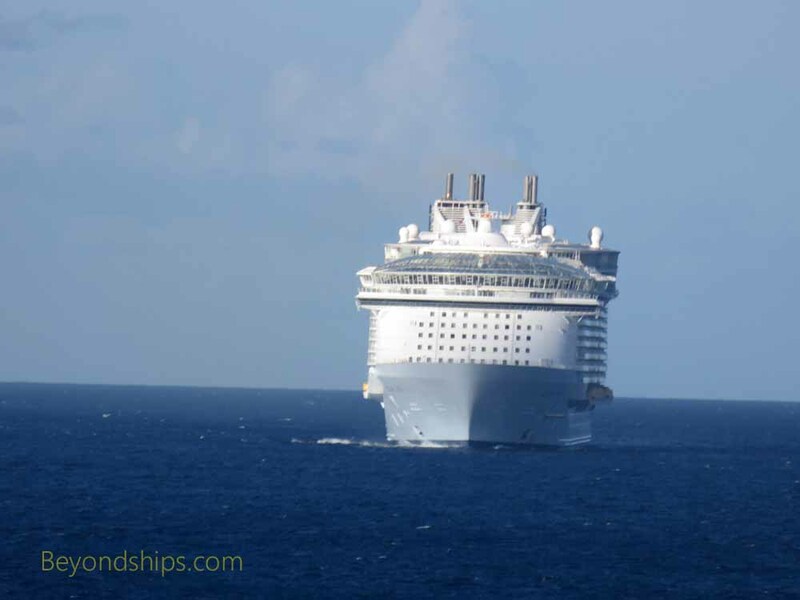 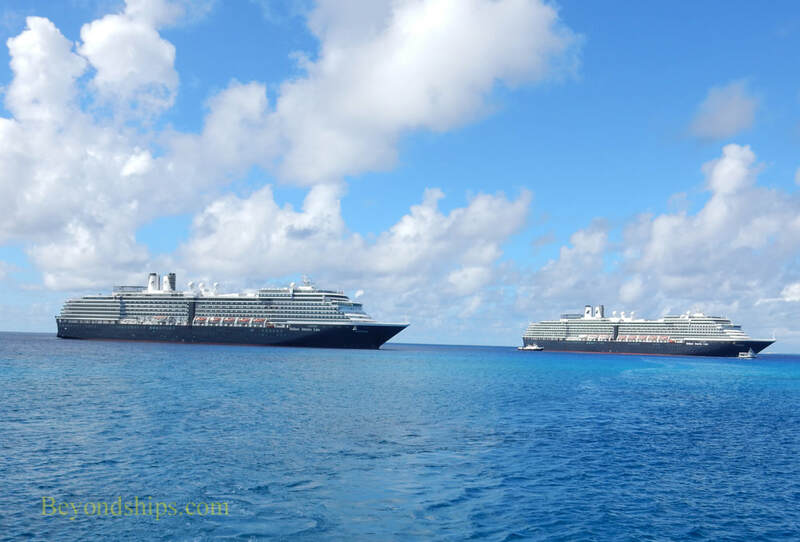 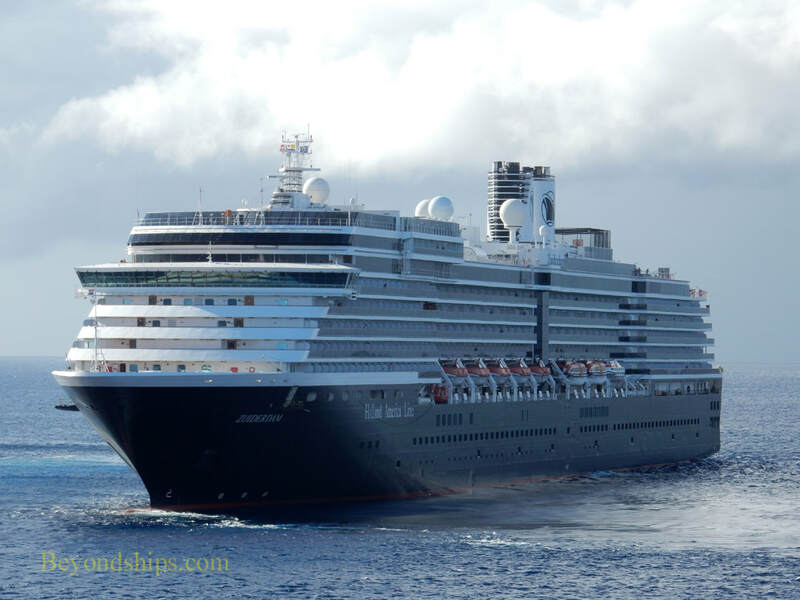 ​Also anchored offshore is Zuiderdam's sister ship Oosterdam. 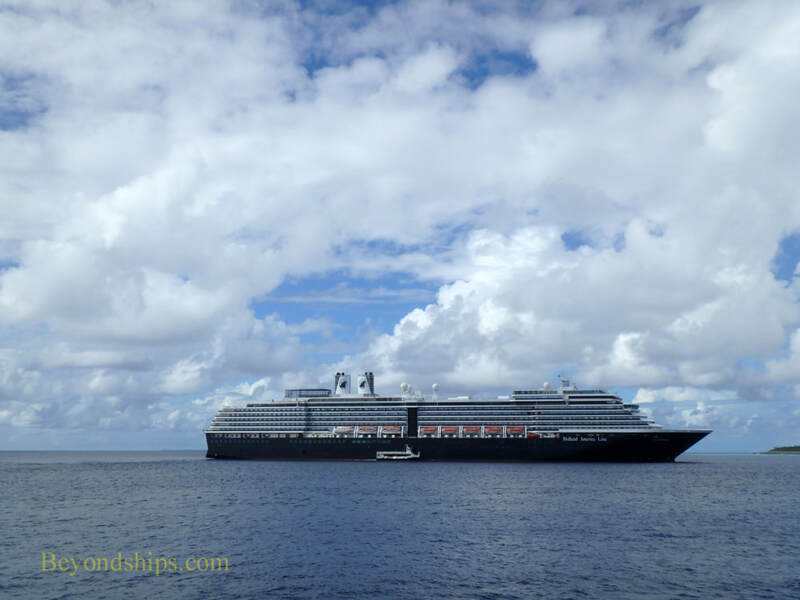 ​Late in the afternoon, the clouds darken. 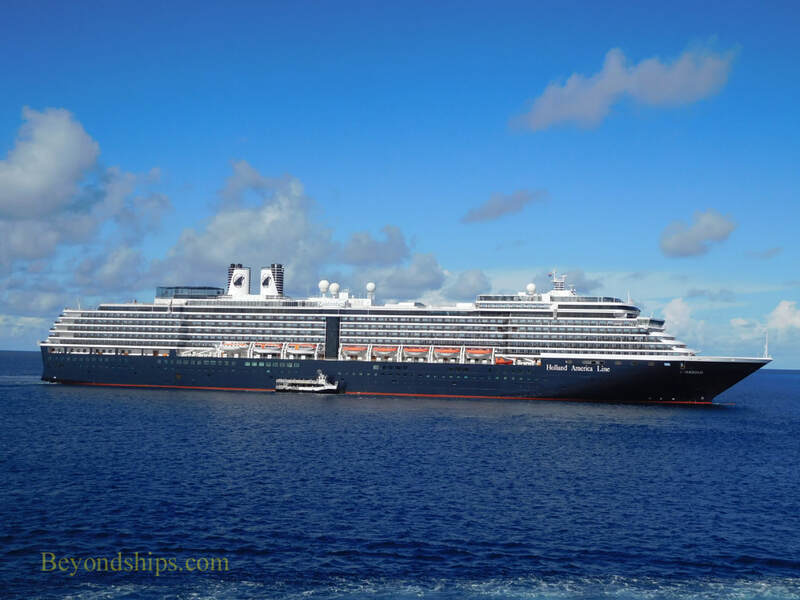 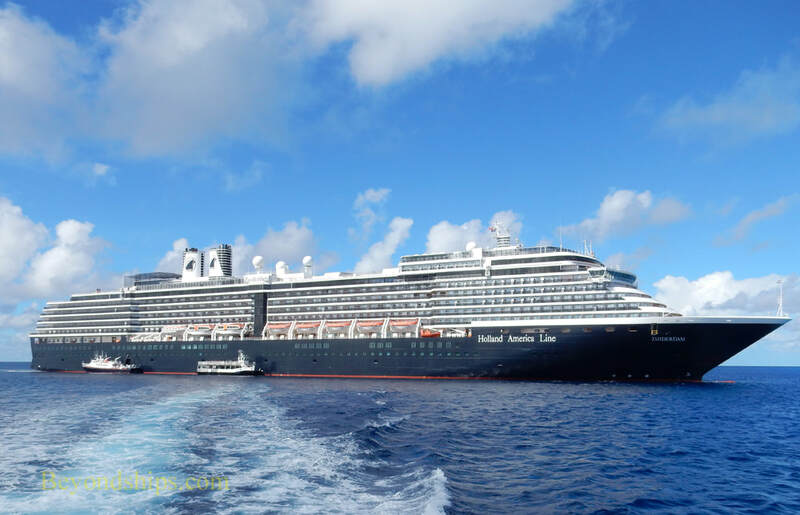 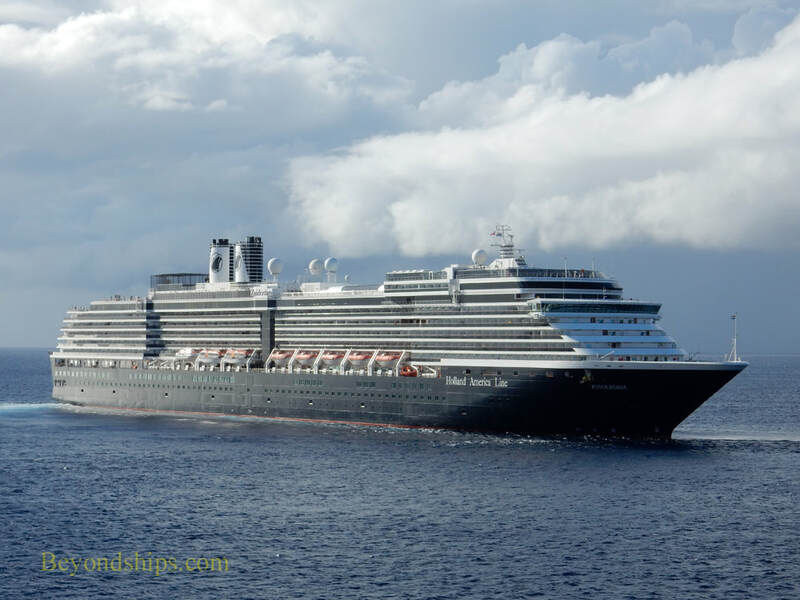 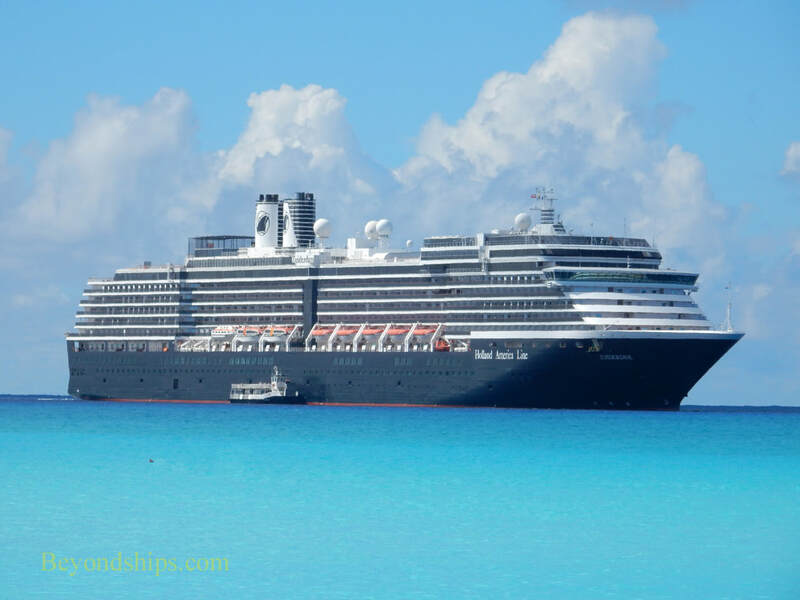 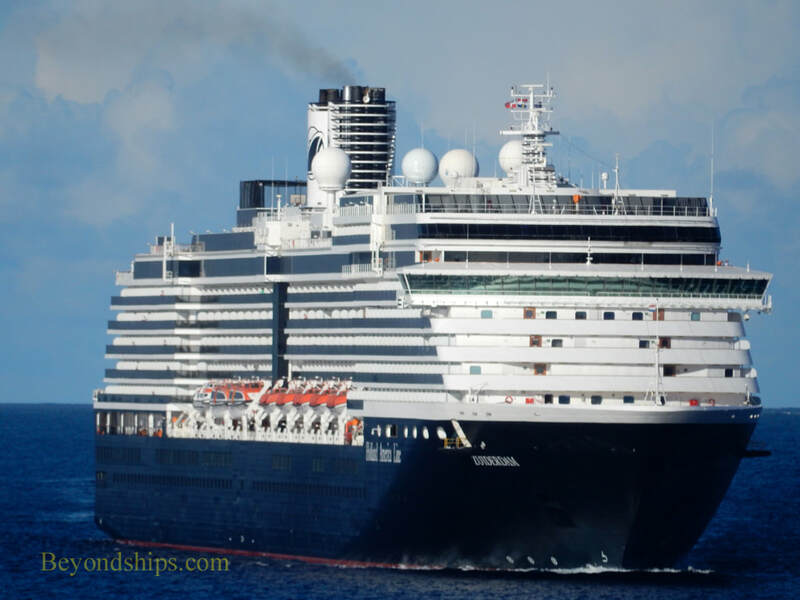 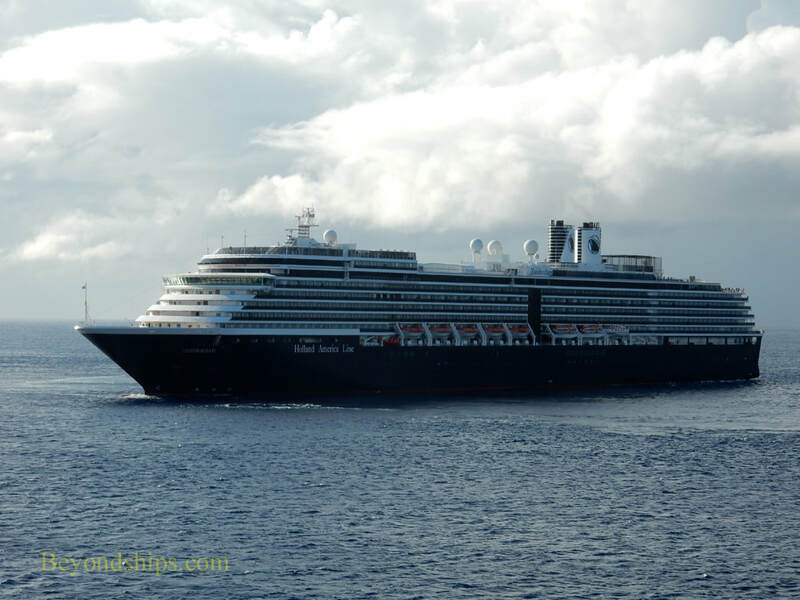 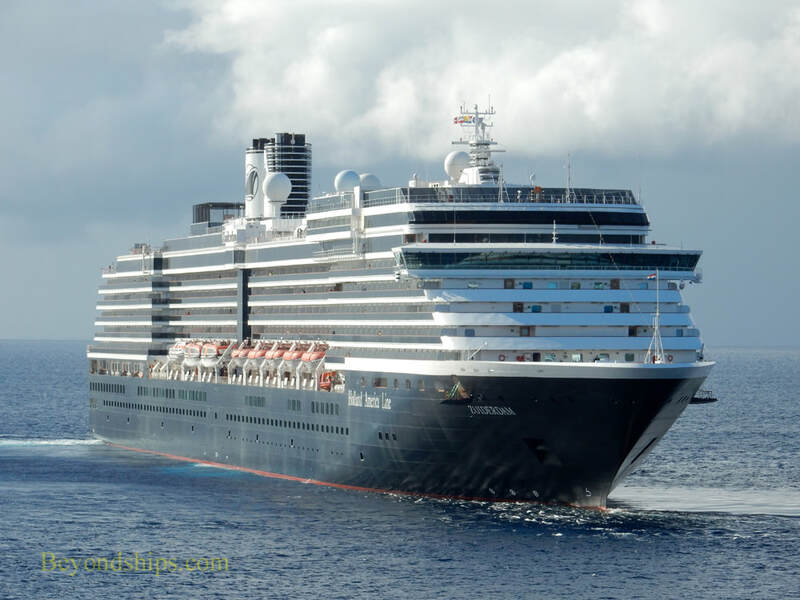 Having retrived her passengers, Zuiderdam executes a 180 degree turn and heads off to her next port of call.